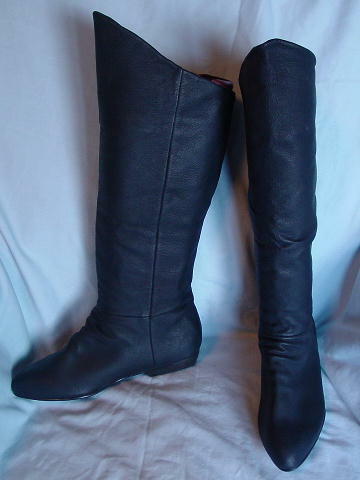 These never-worn navy blue leather boots have modified rounded toes and low heels. The leather is somewhat stiff. The upper fronts are higher than the rear tops. The interior leather goes from 1 1/2" in back to 4" in front. Below that is a black fabric lining.